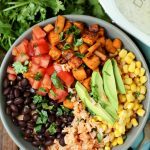 I made these vegetarian burrito bowls as part of a sponsored post. All ideas and opinions are mine alone. 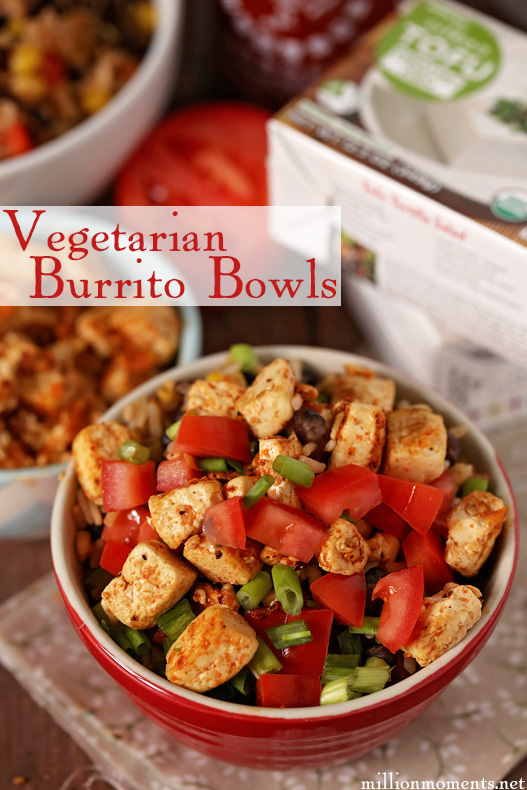 If you are familiar with this blog then you know that my household is strictly vegetarian. 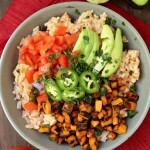 I love coming up with new recipes or improving on old favorites, and since I am such a sucker for zesty Southwestern flavors I decided to take my favorite taco ingredients and combine them with rice to make a great vegetarian burrito bowl with tofu that is big on flavor without compromising my healthy lifestyle. And do you know what the best part is? It is a 30 minute meal! Yay! 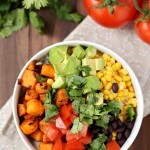 So read on and add something fabulous to your healthy dinner ideas. 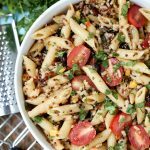 This recipe makes four servings and takes just about 30 minutes to prepare. 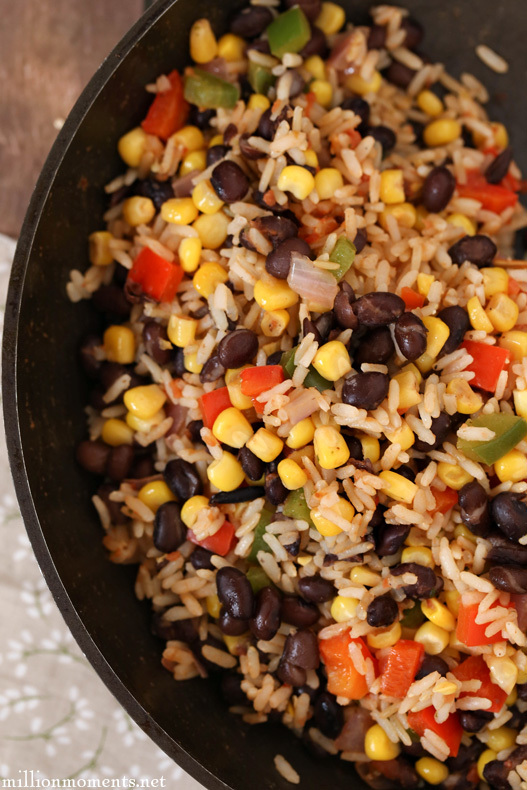 You can swap out any number of ingredients to suit your taste without having to worry about ruining the recipe, so if you aren’t a fan of black beans or you would rather serve it with Quinoa instead of rice it will still taste great. 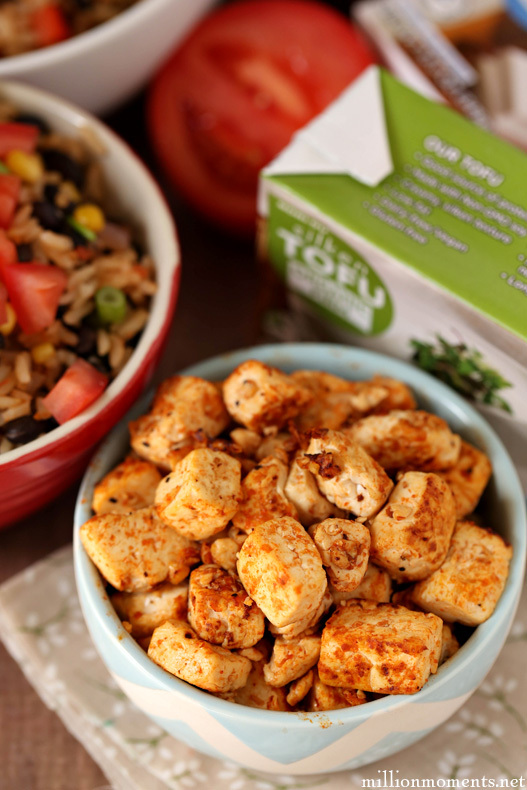 If you are familiar with tofu then you know there are a number of different types and textures to choose from, but with this recipe I am using Mori-Nu silken Organic firm tofu. I love it because it is shelf stable so I don’t have to worry about it spoiling if it sits in the fridge unopened but also because it has a great smooth texture and is non-GMO certified. If Organic isn’t something that you look for they also offer other great varieties and textures in firm, lite firm and more. 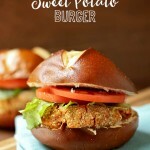 If you aren’t a fan of tofu you can also use sweet potatoes or tempeh. First you want to start your rice. I am using a 10 minute boil in bag rice to save time and steps so if you can find it go for it. 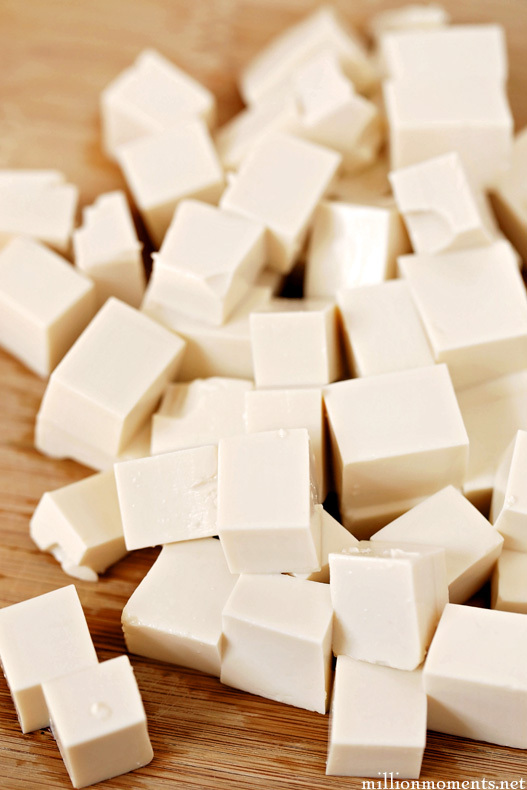 While that is cooking mix all your marinade ingredients together, cut your tofu into cubes and cover them evenly. 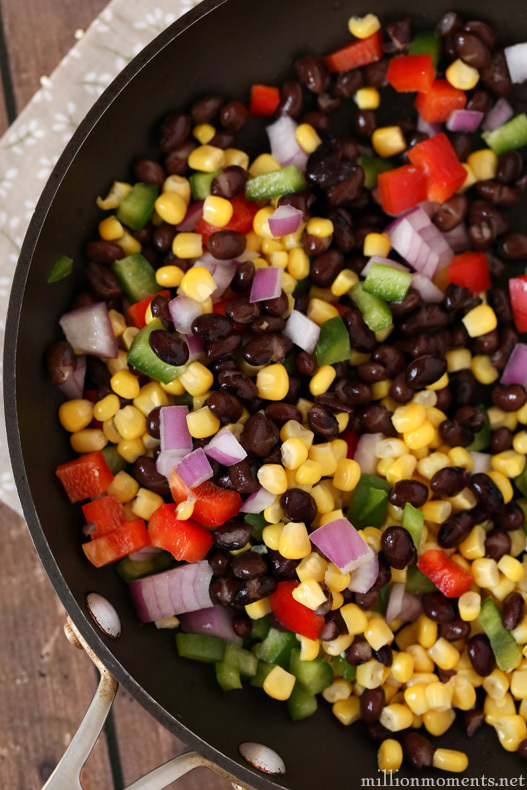 Set that aside to soak in while you combine your beans, corn, bell pepper, salsa and spices. Heat these on medium-high for around ten minutes, stirring frequently. Once your veggies are soft your rice should be ready so add that into your heating veggie mixture and continue to heat on low/medium. Now I don’t know about you, but that looks good enough to eat by itself! Once your tofu is finished take everything off heat, fill a bowl 3/4 full with your rice and veggie mixture, then heap on a generous portion of tofu and top with chopped green onions and tomatoes. Doesn’t it look delicious? 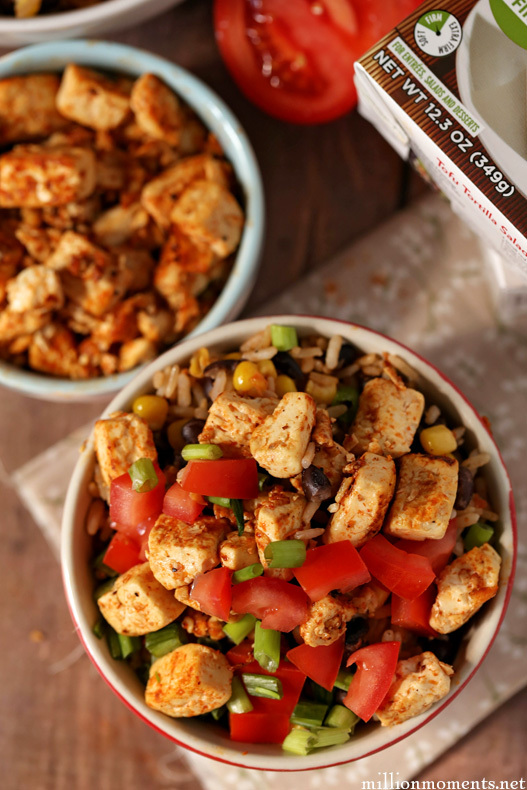 This bowl is bursting with spicy, zesty flavor that is filling and perfect for the cold nights ahead! Like what you see? Feel free to pin it! 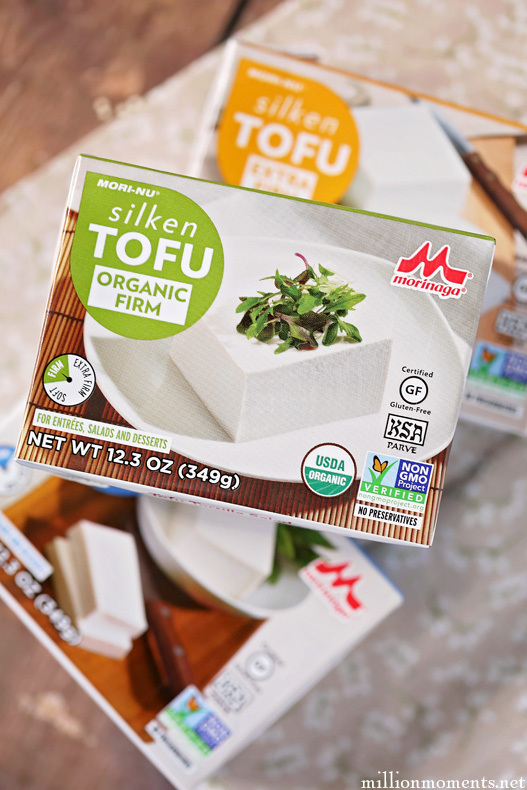 And for those of you who want to win something, check out this sweet giveaway for a Mori-Nu prize pack that includes a $100 Visa gift card, a recipe book and 6 packs of assorted Mori-Nu tofu products. Enter now until October both! See official rules here.